This is the second invitation to “grab bag” an invitation to a small and intimate White House dinner. The first came from the president. Yes, direct from him, no intermediaries, no celebrity members of Congress (no, not even Nancy Pelosi, who’s written so many askings for cash that they’ve taken her off the job), no celebrities period. Maybe the $3 come-on didn’t bring in enough pledges. 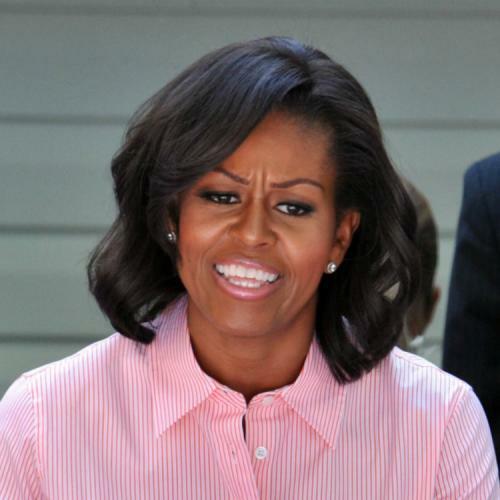 So Michelle has been deputized to do the schnorrering. And she promises, “It’s just going to be a couple of us—me, Barack, supporters like you and your guests—sitting around a table, sharing stories.” This is really quite daring. A tiny dinner party! Maybe eight people or ten. What happens if one of the folk turns out to be a bore? Or, worse yet, two of them. At the end of a long day, Barack and I cherish the same things most American families cherish: togetherness, warm conversation, and the simple pleasure of one another’s company. That’s what this upcoming dinner is going to be all about. It’s just going to be a couple of us -- me, Barack, supporters like you and your guests -- sitting around a table, sharing stories. No handshaking lines, no pomp and circumstance. And below is the informative small print about the rules of the game. There was another e-mail from the finance director of Obama for America. He wasn’t inviting me to dinner. He probably wasn’t inviting you either. But he did solicit me for three bucks. Yes, $3. Nothing about the fact that the real legal limit is $5,000. So what about the big rich who can donate $50,000 and up to the campaign—and do? It’s possible. But do you really want Obama that much? I am a bit embarrassed by harassing the Obama campaign for their slightly tawdry money pitches. After all, it seems that the Republicans don’t believe in evolution, won’t countenance abortion, think that the global atmospheric crisis is an invention of Al Gore and Dr. Sivana (this is a test of your age), believe it’s OK to be gay only if you don’t marry, serve in the military, or teach. There are other doctrinal certitudes that they profess. But I won’t get into the God question. Actually, I do believe in God. But, if they’d hear me out, probably they would say that I don’t.